Guest speakers for New Voices graduation. From left: Lake County Juvenile Court Judge Karen Lawson, Lake County Sheriff's Cpl. Julie Farrell, Lake County Clerk of Courts Maureen G. Kelly, Lake County Department of Jobs and Family Services Director of Children's Services Theresa Palm, Domestic Relations Judge Colleen A. Falkowski, and Lake County Elections Board Director Janet F. Clair. The New Voices Program was launched in January, 2010 under the direction of Judge Karen Lawson to address low self-esteem in young women involved in the juvenile justice system. This self-esteem group is cognitive behavioral based, teaching girls to use their voices to speak for themselves and recognize that they can make positive choices in their lives. The New Voices team consists of female court staff led by a program director and two co-facilitators. Referrals to the program come from the bench, intake officers, and probation officers. Upon completion of the referral packet, the youth is assessed by program staff through interviews with the intake/probation officer and a review of all pertinent social information. This assessment allows the team to group girls with similar issues which in turn help to create the group's identity and goals. A total of 28 girls were referred to the group in 2011 of which 19 participated and 16 graduated successfully. Group size is limited to 8 girls and each session is 8 weeks long. Weeks one through seven are educational in nature and week eight is graduation night. Topics covered range from personal values, relationship issues, family issues, peers, bullying, internet safety, decision making, personal goals and one's journey ahead. A self-esteem workbook is purchased for the girls to use during the group and to take with them upon completion. The girls are encouraged to continue using this workbook on their own or with their therapist if they are involved in counseling. Feedback from the therapeutic community has been very positive in continuing this work. Group is held once a week for three hours in the evening during which a light dinner is provided. These dinners help teach social skills that in turn improve the girls' self-esteem. Group activities include readings and discussion and art projects such as painting and collage. Guest speakers address individual goals and present their own journey to becoming successful community leaders. All group work stresses core values and how they affect the girls' choices and decisions in life. Another strong component of the program is the modeling of positive behavior. Judge Lawson and many female court staff volunteer to add material to the curriculum based upon personal experiences they believe would be helpful to the girls. 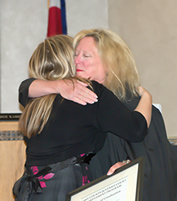 In addition to court staff, volunteers from the community have contributed their own stories and successes. This community partnership includes all aspects of functional, positive living. Community Partners include the Western Reserve Junior Service League, Lake Erie College, Lakeland Community College, and Partners with Paws, a service based on the care and training of therapy dogs. 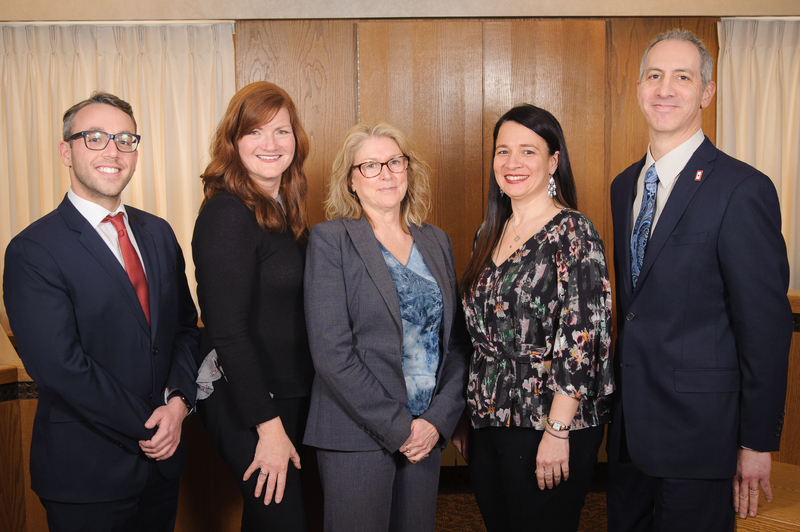 In December 2011 the New Voices program received a generous $50,000 donation from the Painesville law firm Dworken & Bernstein. This donation was given to the Court through a cy pres legal settlement for use in this program. This donation is expected to fully fund the New Voices program for seven years. 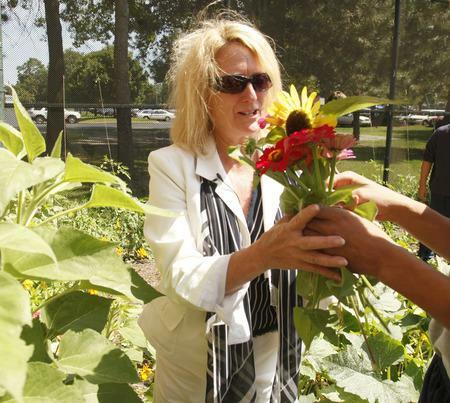 In 2009, the Lake County Juvenile Detention Center Garden Program was started. With the assistance of the Ohio State University Extension Office, incarcerated juveniles learn the basics of what it takes to grow a successful garden. Through the spring and summer months, the juveniles tend to the garden to ensure a bountiful harvest. At summer's end, the juveniles help to prepare a special meal with the food harvested from their garden. In April 2010, the Juvenile Detention Center Garden Program was awarded the 2010 Mantis award which is awarded annually to a garden program in the United States that is charitable or educational in nature and does not operate for profit. The Achievement program serves youth between the ages of 12 and 18 years who are adjudicated delinquent and diagnosed with substance abuse or dependency and a serious emotional disorder. They generally have a history of failed attempts to comply with treatment, failed ability to sustain substance free and criminal free living after residential treatment, repeated criminal offenses and/or probation violations, and family disorganization. Although the majority of these youth are at risk for out-of-home placement, they have a designated caregiver who agrees to participate with the youth in an intensive, home-based intervention. The Achievement program has four phases, each with its own goals and activities that encourage the juvenile's sobriety, mood regulation and improved functioning. The activities utilized include frequent urine screens, court hearings, 12-step mentoring, experiential group sessions, co-occurring in home treatment, and case management services extended to include the entire family. Coordination with school, jobs, and community activities is essential. The program length is minimally ten to twelve months, however successful completion is based on individual performance, compliance with program rules, and achievement of case plan goals and objectives. Judge Lawson and the Achievement Program place a strong emphasis on family involvement, honesty, integrity, and accountability. In addition to the juvenile's commitment to participate, parent(s) or guardian(s) are required to invest in their child's long-term behavioral and emotional health by participating in the Program's parental component and encouraging their son or daughter to achieve his or her goals. The activities and requirements of the program are dependent upon each participant's identified risk and needs. Judge Karen Lawson cleaning workout equipment with a juvenile in the Restitution Work Detail program at the Painesville YMCA. The Lake County Juvenile Court initiated a restitution program many years ago. The program is bifurcated in its objective, first to insure that the victims are compensated for their loss and second, to hold juveniles accountable for their delinquent action. The Court assists the victims in completing the victim impact statement, investigates claims, monitors payments to victims, answers pertinent questions as they relate to restitution, and mediates conflicts between the juvenile's family and the victim's family to affect an equitable resolution. Juveniles are expected to pay restitution to victims in a timely and responsible manner. This will reflect on their sincerity toward making amends, and is their opportunity to demonstrate good qualities. In this regard, restitution is the ultimate resolve to apologize. The Court created a Restitution Work Detail in February, 2010 in order to assist victims in gaining their restitution in a timely manner. The program was designed for younger offenders who are not employable based on age or other factors. The juvenile reports to the Painesville YMCA on Saturday mornings and is supervised by a Court staff. They are required to work while at the YMCA completing maintenance tasks assigned. Each youth can earn up to $500.00 if they successfully complete up to 12 Saturdays. Upon completion of the assigned programs, the Court then directs payment to the victim in the case. The Intensive Community Rehabilitation is a Lake County Juvenile Court program located in the Juvenile Detention Center. This program is designed to serve incarcerated high risk youth who are involved in the juvenile justice system and demonstrate severe emotional and behavioral challenges in their lives. Youth are provided comprehensive interventions to address the needs of the youth while providing the community the necessary safety of a locked facility. 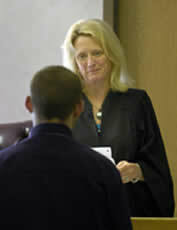 Youth will be considered by the Lake County Juvenile Court staff if they meet the follow eligibility criteria: an adjudicated Felony with a commitment to the Department of Youth Services, a Moderate or High Risk on the Ohio Youth Assessment, and determined to be amenable to the interventions provided within the ICR. Although the court staffing team would decide if a recommendation to the ICR is appropriate, the Judge or Magistrate would decide if it is ordered. There will be a wide range of interventions for youth and family in the ICR. Each youth will be scheduled to participate in four group interventions a day. They will be seen individually at least one time per week by the Intensive Case Worker. The family will also be seen by the Intensive Case Worker on a weekly basis. Lastly, the parent(s) and/or guardian will have an opportunity to participate in weekly parenting classes. Each youth will have the opportunity to maintain his/her education via an on-line program deemed appropriate by their home school district in conjunction with the ICR service providers. Each youth will have their own ICR team. The team will consist of the ICR Director, a Probation Officer, Court Psychologist Assistant, Juvenile Corrections Officer, ICR Specialist, Art Therapist, Education Coordination, Intensive Caseworker, and the family. Upon placement, the team will meet to develop a case plan and consider discharge planning. The team will then meet two times a month to review progress and develop concrete feedback for the youth. In addition to the team meetings and case plan review, staff will document each service intervention and response daily. Upon completion of the Intensive Community Rehabilitation, youth will re-enter into local community services. In December 2013 the ICR was recognized by the Ohio Department of Youth Services and the Ohio Juvenile Judge’s Association and was presented with the Community Recognition Award. This award is given annually to recognize the outstanding contributions of community organizations that provide needed programs and services to youth, as well as the youth that have participated in these programs and have worked hard to make positive changes in their lives. Lake County Juvenile Court partnered with the Lake County office of the Ohio State University Extension to offer Parent Project. The Parent Project parenting class addresses parenting skills for parents dealing with out of control and unruly adolescents. The class is 10 weeks long and teaches a variety of skills, as well as how to work with resources in your community. There is also a skill building class for the adolescents that runs during the parenting class. When a juvenile is charged with a traffic offense, the alleged offense(s) may be disposed of through the Court's violations bureau / traffic waiver program. That is, a juvenile may admit the offense(s) in writing, waive appearance at an adjudicatory hearing, and pay a fine(s) and court costs either by mail, in person, or online. Judge Lawson implemented the Aggressive Truancy Enforcement Diversionary (A-Ten-D) program in 2009 to encourage regular school attendance, which is important for academic success. 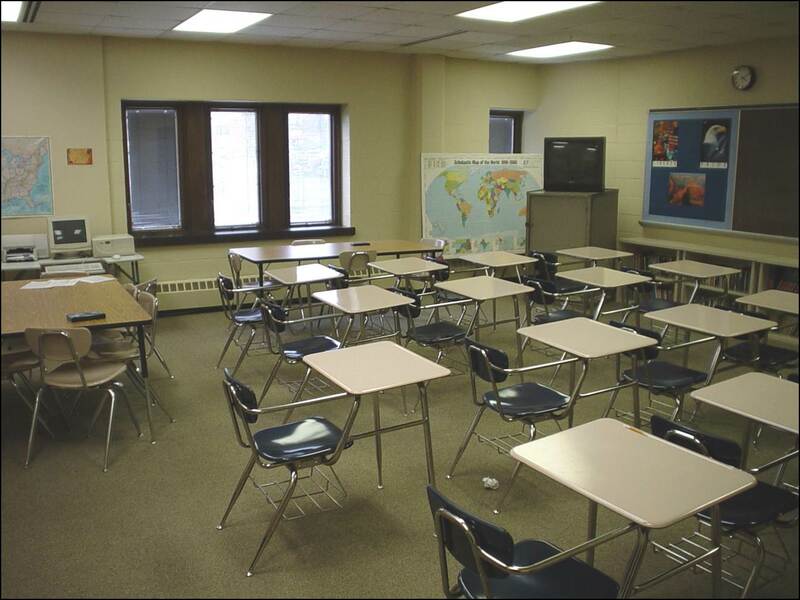 When students are absent, they miss valuable information and lessons that are necessary to meet world class standards. Families, schools and communities must work as a team to support school attendance. The system-wide goal is to improve local school attendance at every grade level. Nothing can accomplish more positive results more quickly than the collaborative efforts of parents, schools, community and business representatives working together on the behalf of children. 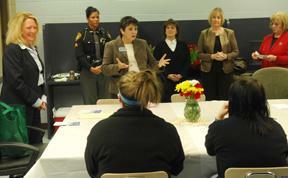 The A-Ten-D Program is Lake County Juvenile Court's support of this collaborative effort. The Saturday Work Program was started to provide an appropriate consequence for traffic offenders and unruly juveniles. Often this program is used as an alternative to detention for minor delinquent offenders. Up to twenty boys and girls meet at the work site for a number of Saturdays. Work projects begin at 8:30 AM, and conclude at 2:30 PM. Included are various types of community service; usually manual labor. The workers must bring their own lunch and are not paid. The participants are supervised by Court personnel at the job site. As the Saturday Work Program is used as an alternative to detention, failure to attend or perform as ordered is treated as a violation of Court Order and is viewed very seriously by the Court. The Saturday Work Program is consistent with the Court's philosophy of using the least restrictive alternative to correct behavior. The Saturday Academic Program is an alternative to detention. The Program holds juveniles accountable for their inappropriate behavior at school by having them attend study sessions at the court for a number of assigned Saturdays. Juveniles are required to bring their homework with them and have a teacher and other Court staff available to assist them. Those enrolled in online classes have laptop computers available to access their work. The Community Service Program began during the same time as the Restitution Program. This program has been accepted and supported by a variety of nonprofit organizations in and around Lake County. These organizations have expressed positive results from this program. Juveniles ordered to perform community service are not confined to render their service within the bounds of Lake County, but may also complete their service at any nonprofit organization. Community Service is an alternative to incarceration for juveniles who have committed less serious offenses. It is a process by which juveniles are required to make amends to the community, and be held accountable for the offense which they have committed. Juveniles who are ordered by the Court to participate in this program are given a list of suggested sites where they can perform their community service. It is the responsibility of the juveniles, with the help of parents, to initiate contact with a particular site and arrange the logistics such as time, day, and transportation to and from the site. The juveniles are required to work without pay for a prescribed number of hours within a designated time frame. They must report on time for their community service and are expected to put in an honest day's work. In many instances, by demonstrating good work ethics and positive qualities during the community service program, the juveniles are able to secure permanent jobs with the organization they are providing service. The Substance Abuse Program is a program funded through a grant from the Ohio Department of Youth Services. During a period of time, the program has undergone various changes and refinements, but its original goals remain. Briefly, they are to: 1) Educate our clients about the effects and consequences of chemical use and abuse; 2) Identify and refer to appropriate community professionals those clients whose use of chemicals is causing them significant problems in adjusting to responsible adolescent living; and, 3) Provide support, guidance and direction to those youngsters and families for whom chemical dependency is a primary problem. The Substance Abuse Program, first presented in March of 1979, continues to address the need to educate youths about the physical, emotional and psychological effects of using chemicals and challenges them to examine their personal relationship with the use of drugs and alcohol. Drug and alcohol use assessments continue to be performed by trained Court personnel. During this process, parents, youngsters and the Court take advantage of the opportunity to learn more about the impact that drug abuse has on the lives of family members. When necessary, clients are referred to appropriate resources for outpatient or inpatient evaluation. The court continues to work hand in hand with other community resources in seeing that families receive the help required. The Substance Abuse Program continues its commitment to providing quality service to the families involved with the Lake County Juvenile Court. To that end, the program's staff is regularly offered the opportunity to attend various advanced training workshops in order to maintain a current knowledge of the field and to enhance their personal skills. In addition, every Court employee who has direct contact with clients is afforded the opportunity to be trained in the basics of identifying and dealing with the adolescent drug abuser. In this way, it is possible for the Juvenile Court to make a united effort in the struggle to address the problem of alcohol and drug abuse among our clients. 1. On referral from the Judge or other parts of the Court, a child and his/her family will receive a psychological evaluation with respect to emotional status and need for treatment. 2. Evaluations focus on the child's emotional problems, motives and needs, with an emphasis on family system factors that either impair or enhance the child's overall mental health and emotional development. If learning disorders, chemical dependency concerns, or medical problems are discovered, referral is made for more detailed assessment at appropriate agencies outside of the Court. 4. In addition to its evaluation function, the Clinical Assessment Department also provides short term (crisis intervention) psychotherapy to children and families on a selective basis. This is done by a Psychology Assistant under the direct supervision of the Clinical Assessments Director. 5. Every in-crisis youth entering the Detention Center remaining for more than two days is interviewed by the Psychology Assistant. Short term (crisis intervention) psychotherapy is provided to those youth in need while being detained. If the youth is currently involved in active counseling, a working relationship with that counselor is established by the Psychology Assistant. 6. Within the Court itself, the Clinical Assessment Department provides consultation to other Court personnel: Prevention Staff, Probation Officers, Teachers of the Court Educational Services, and Juvenile Corrections Staff at the Detention Center. Finally, as a matter of conviction and policy, the Clinical Assessment Department believes in the maintenance and support of the family unit as the primary irreplaceable vehicle for child development. Consequently, every effort is made to help parents to raise their own children in a mentally healthy way with a minimum of outside intervention. The Felony Education Program is a grant funded program designed to provide youth who have committed a felony level offense the information and opportunity to make effective change. The program is broken down into eight sections or classes. Class topics include drug and alcohol use, communications skills, developing job search strategies, study skills, victim concept and personal accountability. Parents attend six classes with their children and are welcome to attend the entire eight week session. The Intake Department meets with juveniles and their parents for positive outcomes. The Intake Department of the Court is responsible for examining and evaluating the circumstances of every case referred to the Court. There are two methods of referrals to the Court: They may come in as complaints, or as "walk-ins" i.e. persons coming to the Juvenile Court to seek help. The first category, complaints, may come from the police departments, schools, probation officers, job and family services, other agencies, and private citizens. Upon receiving a complaint, the Intake Department inspects the affidavit to be sure that all the required information is included. The next step is to check on any previous filings on this particular child. If no previous history, Intake decides whether a hearing or an alternative program would be appropriate. If the alleged offense is serious in nature, the individual will be scheduled to appear before a Magistrate or the Judge. Perhaps one of the most important functions that Intake fulfills is the screening and counseling accomplished through Intake Conferences. It is through this method that community and family problems are screened in order to find alternatives to court action, if possible. The procedure used for these conferences is as follows: An Intake Officer would ask that both parent (or parents, preferably) and child come to the Court for a conference; the family problems and possible alternative solutions will be discussed. In cooperation with the school systems of Lake County, the Court has established a school truancy program. It is the Court's purpose to establish early identification of those families and children who are displaying dysfunctional behavior in regard to school attendance. The program begins with an early warning letter sent to the parents and child by the school. If the child accumulates more days of unexcused absence, the school refers the situation to the Intake Department. An Intake Officer has a conference with the child, the family and the school representative. After this conference, the Intake Officer continues to check on that child's attendance and assists with any program to provide ongoing services to the school and to the community in order to alleviate escalating problems in school attendance. In 2009, this program was expanded upon and the A-Ten-D (Aggressive Truancy Enforcement Diversionary) Program was begun. A component of the screening process through Intake is the Prevention Conference. First time offenders with a minor misdemeanor are set up for these conferences. At the time of the conference, an official complaint has been filed, but has not been legally docketed through the Clerk's office. Any one of the following dispositions may be used: 1) Admonishment and warning; 2) Family and/or individual counseling; 3) Drug and Alcohol Class; 4) Continuation for a period of time with follow up in the Intake Department; 5) Referral to the Intensive Casework Program; and, 6) Referral for official court action. A further component to the Intake Department is two positions of Intensive Caseworker. A ten week contract is drawn up identifying problem areas and specific goals toward a solution of these problem areas. The caseworker meets with the client and family on a regular basis in order to work on problem-solving methods. A majority of conferences have remained on an unofficial basis with the Court with no further recidivism. Our criteria for selecting candidates for alternative solutions revert to prior court history and seriousness of offense. Most juveniles who participate in these alternatives are those legally termed as unruly, those whose families have communication problems that can be solved without the aid of probation and/or detention, and those who must be served by official contact. It is Intake's goal that, through appropriate screening, we can aid the Court and the community in assessing and servicing the needs of the juvenile population. Probation is the most widely used correctional technique to address delinquent behavior. The primary assumption underlying probation is that the individual offender can be most effectively helped within his own community, as opposed to placing him in an institutional setting. The goal of probation is to enable the individual to remain in the community by assisting him to make the behavioral and attitudinal changes necessary for him to function as a law-abiding citizen. Creating or helping to create changes in anyone's behavior is a difficult and complex task. Nevertheless, this is a probation officer's primary function. In order to accomplish this, the probation officer must call upon all of the resources available. This entails the establishment and maintenance of a trusting and honest relationship as well as the ability to understand the personalized problems that the probationer may be experiencing. There are a number of techniques that may be used in this process: counseling, both family and individual; removing the child from his environment; addressing specific issues such as drug/alcohol use, physical abuse, etc. The rules of probation, which are established by order of the Court, are the most important and effective tools used by the probation officer. These rules are designed to establish parameters of acceptable behavior for the probationer and are consistently enforced by the probation officer. Once the individual's behavior is within the parameters established by the rules of probation, it is then the probation officer's task to help the probationers internalize their behaviors through the use of counseling and guidance. All available community resources and programs are utilized to assist probationers and their families to make the necessary changes in their lives. 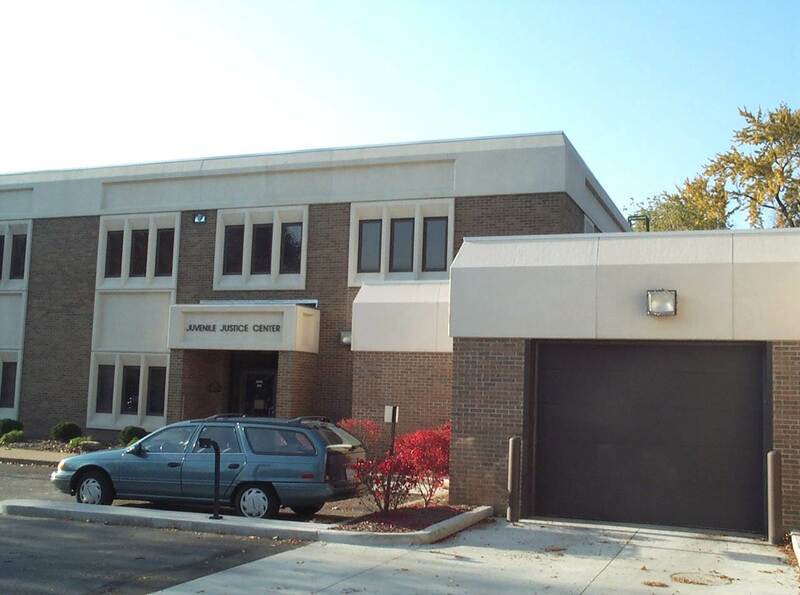 The Lake County Juvenile Court has twelve probation officers to cover the entire county. Two of these officers supervise specialized caseloads such as children who are severely behavioral handicapped children, children in residential placement and children in need of intensive close day to day supervision. Each probationer is seen by his/her probation officer bi-weekly (more/less often depending upon circumstances) in school, their homes, and in community settings. The "average" length that a child is on probation is nine months. Some children are under court supervision much longer depending upon the nature of their offense and/or adjustment to probation supervision. The Juvenile Detention Center is a secure facility constructed in 1981 according to American Correctional Association Standards. Juveniles who are a threat to themselves or others and youth who may fail to appear for court are detained. This facility has a secondary mission to provide short-term, local based rehabilitation for delinquents. In fact, the rehabilitation group makes up the large majority of the detained adolescents. The Detention Center provides single room housing for up to forty offenders. Typically, the population ratio is four boys to one girl. The average stay is twelve days for girls. Boys tend to commit more serious offenses more often and, therefore, tend to have longer detention stays. A staff of seventeen full-time Juvenile Corrections Officers provides around the clock supervision. The staff also includes two supervisors, four cooks and eighteen part-time staff. The requirement for Detention is to provide the basic needs of food, clothing, shelter, as well as health and safety. These are the requirements for good custodial care. Residents participate in a year round education program. Education is provided by a staff of certified teachers from Painesville City Schools. We make every effort to provide a curriculum which meets the needs of this diverse group. Indoor or outdoor exercise areas are used daily. All residents are required to keep their rooms clean and help with light housekeeping. Psychological services are an integral part of the program. 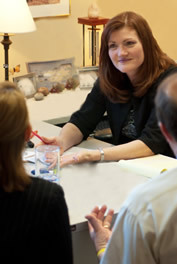 Informal counseling with our well-trained staff is often provided. The Levels Program, based on behavior modification treatment modality, provides concrete attainable goals for youth in our care. In 2009, the Court added a computer lab to meet the student's needs presented by the evolving modes of education. Students are now able to continue with their on line computer based education while attending Educational Services and the Detention Center. Many of these students are behind academically and are offered a unique opportunity to achieve credit recovery and in some cases, even graduate while attending. Thanks to a generous donation by the Mentor and Painesville Rotary Clubs in March 2011, the Court received 12 lap top computers for use in the Computer Lab. The involvement of community agencies enhances our rehabilitation effort. Family Planning provides a bi-monthly session including exercises in resisting negative peer pressure. Finally, a dedicated group of volunteers minister to the spiritual needs of the Detention residents. In 2009, the Lake County Juvenile Detention Center Garden Program was started with the assistance of the Ohio State University Extension Office. The Lake County Juvenile Detention Center has developed an excellent reputation in the corrections community. Our services compare to the best nationally, thanks to a well-trained, dedicated staff and a facility which has been kept up to date. 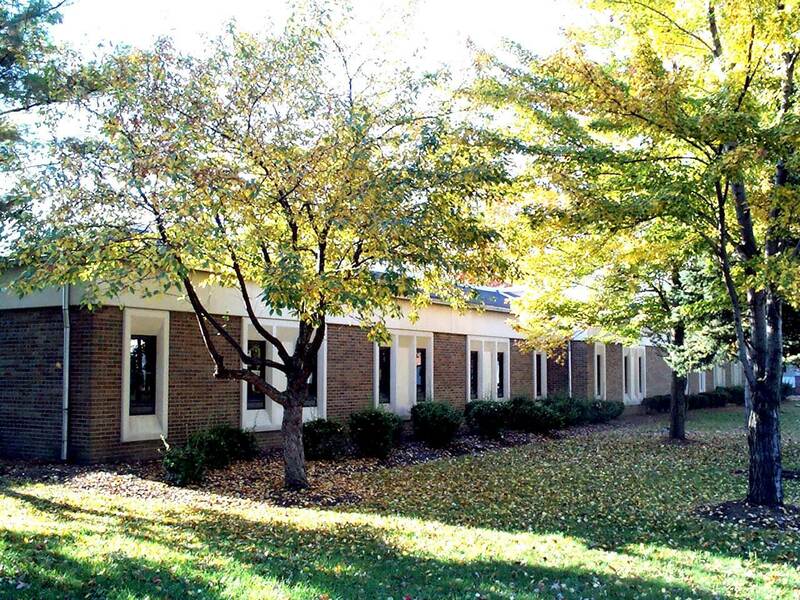 In 1975 the Lake County Juvenile Court established Educational Services. Its purpose is to serve probationers who have been suspended or expelled from school and have inadequate home supervision. Juveniles are assigned to the school by disposition from the Court, Probation Review Board or probation officer referral. The aim of the Educational Services Department is to give students a positive alternative to the traditional learning environments. Students' lengths of stay vary from one day up to ninety days. Every attempt is made to present material based on individual learning levels. Students are permitted to work independently if school assignments are furnished by their own schools or work on computers for those enrolled in online learning programs. Subject areas covered in the program are, but not limited to, math, reading, current events and health issues. All programs are co-educational and ages range from twelve to seventeen. Juveniles are required to bring their homework with them and have a teacher and other Court staff available to assist them. Those enrolled in online classes have laptop computers available to access their work. In November 2017 the Alternative School was recognized by the Ohio Department of Youth Services and the Ohio Juvenile Judge’s Association and was presented with the Community Recognition Award. 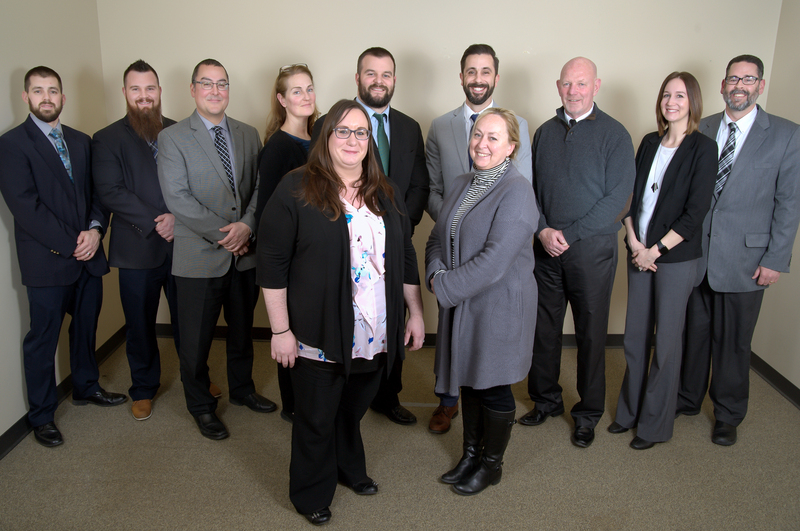 This award is	given annually to recognize the outstanding contributions of community organizations that provide needed programs and services to youth, as well as the youth that have participated in these programs and have worked hard to make positive changes in their lives.